Sticking to the so-called ‘unity accord’ is a problem for Western countries, who are responsible for the current chaos in Libya, Abayomi Azikiwe, editor of Pan-African News Wire, told RT. Islamic State (IS, formerly ISIS) militants attempted last week to seize government facilities in northern Libya, killing dozens of people in separate suicide bombings in Zliten and Ras Lanuf, east of Tripoli. 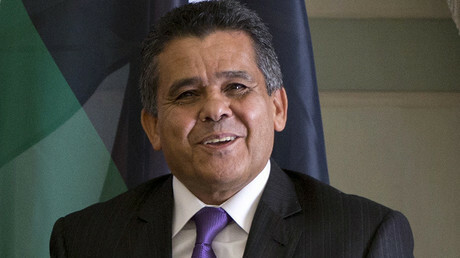 An UN-brokered Libyan deal was signed in the Moroccan town of Skhirat on December 17. About 80 representatives from Libya’s internationally recognized parliament and 50 members of the rival Tripoli-based General National Congress signed the deal to unify the government which is partially aimed at fighting Islamic State. RT: How important are Libyan oil supplies to Islamic State? Abayomi Azikiwe: Apparently they are very important. They are a source of revenue for the terrorist organization, as well as being a force for disrupting the national economy and exacerbating the overall divisions that already exist inside the country. Two major oil facilities have been attacked at Es-Sider as well as Ras Lanuf. Just these two facilities have the potential of producing 500,000 barrels per day. So, you can see what strategic value these resources have to Libya, as well as the international community. RT: What reaction do you expect from Western powers? AA: They are in a process now of attempting to forge an alliance between the two rival regimes. The one in Tripoli, known as the General National Congress in Tripoli, and the so-called House of Representatives in Tobruk. They have announced that they have an agreement, but yet the majority of the representatives of these two rival factions have not signed onto this agreement. The signing onto this agreement would open the way for intervention of the 6,000 manned military force led by Italy; it’s also going to be supported by France, Great Britain as well as the US. They have already outlined coordinates for the bombing of Islamic State positions inside the country. So, the holding up of this so-called unity accord is a problem for the Western countries which actually brought about the current chaos that exists in Libya and has existed for the last nearly five years. RT: Do you think the threat of ISIS in Libya has been underestimated? AA: No, it has not because many of their fighters have fled areas that have been under intense bombardment as well as ground operations in both Syria as well as Iraq. So they have relocated in Sirte, which is a very important coastal Mediterranean city, the home town of the late Muammar Gaddafi. And they are now attempting to take over other areas along the 300 kilometer Mediterranean coast. They are also threatening other oil fields at Brega and Zueitinaas, well as others at Amal and Nafoora. 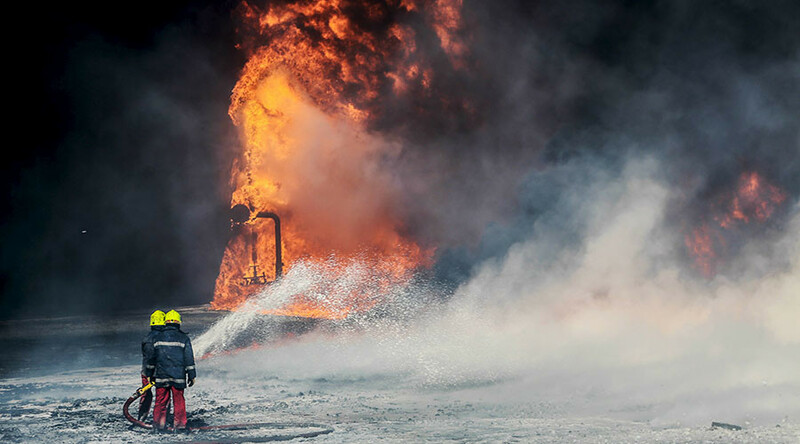 This has not stopped yet; 18 guards were killed, and there were also reports that some of the facilities at Ras Lanuf have been evacuated by guards working on behalf of the National Oil Corporation. RT: Libya has been in a state of chaos since the internal uprising and NATO intervention of 2011 with two rival governments. Are there any forces on the ground capable of repelling the terrorist group? AA: Not if they are divided. This is the problem that they are facing: the General National Congress as well as the House of Representatives are not the only two forces involved in the struggle for Libya. There are hundreds of other militias. There are forces that are still loyal to the former Jamahiriya system of Gaddafi. And also there are Al-Qaeda elements. Combine that with the international intervention by Egypt as well as the United Arab Emirates. So, there are many different forces that are operating on the ground in Libya. And as a result of that it is going to be very complicated in the attempts to beat back the Islamic State. And we don’t know what the real purpose behind the Islamic State intervention really is. It could be a mechanism utilized by their backers to create conditions for the implementation of the so-called ‘unity accord’ and also facilitating the deployment of Western troops from the Pentagon and NATO.